Although they share a common name, Globe artichokes and Jerusalem artichokes are very different plants. The Globe artichoke is similar to a thistle and has a long history of use as a culinary delicacy and a medicinal plant. It was originally domesticated some 2000-3000 years ago by the Greeks and then was very popular with the Egyptians and Romans. The edible lower part of the bud, known as the “heart” is coveted more than the outer leaves or bracts, which have some remarkable medicinal properties. The Jerusalem artichoke is native to North America and is a part of the sunflower family of plants. Unlike the Globe artichoke, it is the lower portion of the Jerusalem artichoke that can be eaten. The tuber of the Jerusalem artichoke grows up to 10 centimeters long and four to five centimeters thick. During the 17th century, the Jerusalem artichoke made its way to Europe and it has been popular there ever since, especially in France. In fact, it is so widely loved in France that it won the title of “Best Soup Vegetable" in the 2002 Nice Festival for The Heritage Of The French Cuisine. As mentioned earlier, the main medicinal part of the Globe artichoke is the leaf. The hearts are a reasonable source of protein, magnesium, potassium, vitamin C, and B vitamins. However, it is the leaves that contain antioxidant compounds and also have a profound effect on your liver and therefore on your cholesterol levels. With all of these effects on the liver it is no surprise that Globe artichoke also helps balance in the journal Phytomedicine, adults with mildly to moderately high total cholesterol were randomly assigned to receive 1280mg of Globe artichoke leaf extract or placebo capsules for 12 weeks, while continuing their usual medications, supplements, and diet. 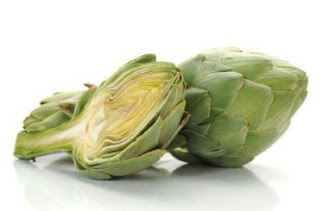 Total cholesterol decreased in the artichoke extract group by more than four per cent and increased in the placebo group by nearly two per cent. There was no difference between the two groups in their blood levels of HDL (“good") cholesterol, LDL (“bad") cholesterol, or triglycerides. The authors concluded that artichoke leaf extract has a modest but favorable impact on total cholesterol. dried leaves can be stored in paper bags or glass jars for up to a year if kept in a cool, dry. and dark place. Around 6g of dried leaves per day are required to get the healing effects although of course you might just enjoy it as an organic tea you can make from your own garden. The Jerusalem artichoke contains about 10 per cent protein, no oil, and a surprising lack of starch. However, it is rich in the carbohydrate inulin (76 per cent). This inulin is something that the two “artichokes" have in common, although the Jerusalem artichoke has it more concentrated. Although it is made up of fructose, inulin is not used by the body at all for energy metabolism. 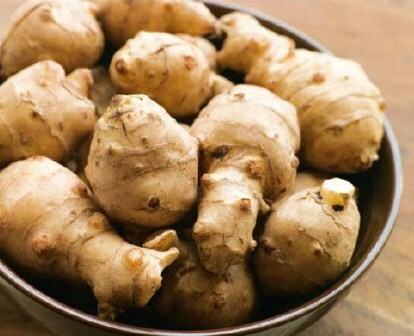 In fact Jerusalem artichoke has been shown to improve blood sugar control, which can make it useful for diabetics. Additionally, inulin promotes growth of healthy bifidobacteria in the large intestine which is important for a healthy digestive tract Inulin also enhances immunity, so Jerusalem artichokes with their high inulin content are a very healthy food to grow in more ways than one. When to plant: Globe artichokes are best planted as a seedling or grown from a sucker taken from an established plant in autumn or winter. Seeds take at least two seasons to grow. Plant Jerusalem tubers in early winter in warm regions and spring in cooler regions. Aspect/placement: Both like full sun. Specific needs: Prepare your soil with well-rotted manure and organic matter before planting your artichokes. Keep water up to them, but be sure the soil is well-drained — they don't like wet feet. Mulch with hay or pea straw to preserve moisture. Jerusalem tubers might need hilling as they grow. Globe artichokes grow to at least a meter high and the same wide so need plenty of room and can be divided every three to four years. 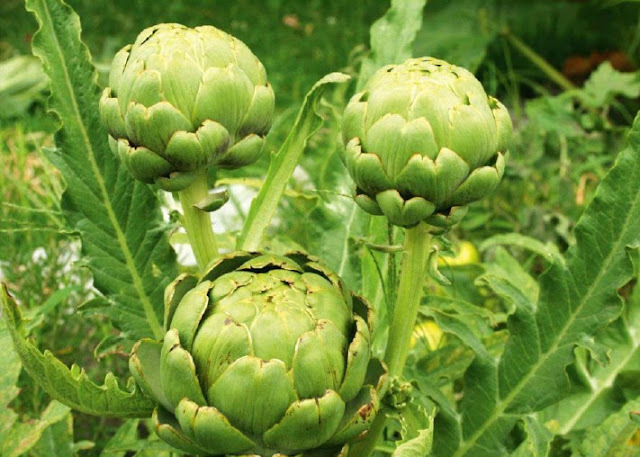 Harvesting: For the tastiest produce, pick Globe artichoke buds in spring with stem attached before they open. Don’t start harvesting Jerusalem artichokes until after the stems have dried off in late autumn. It usually takes about six months, and be sure to dig up all the tubers otherwise they can become invasive.